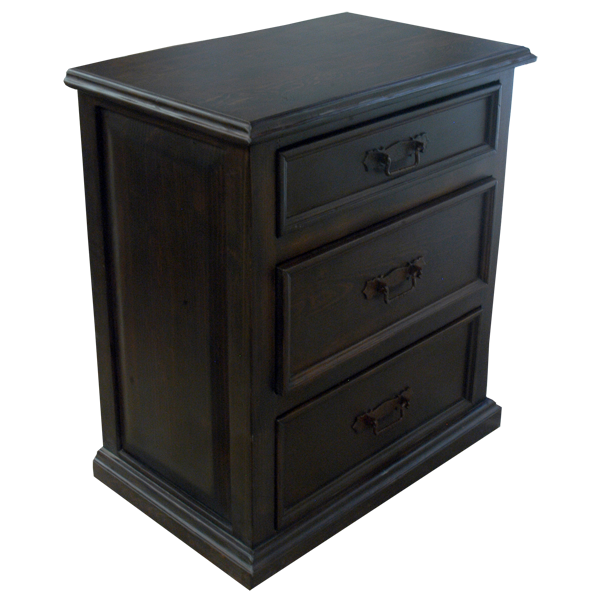 With its versatile, dark stain, this elegant, handcrafted end table will easily blend with your existing furniture, and it is appropriate for the bedroom, living room, or an entryway. 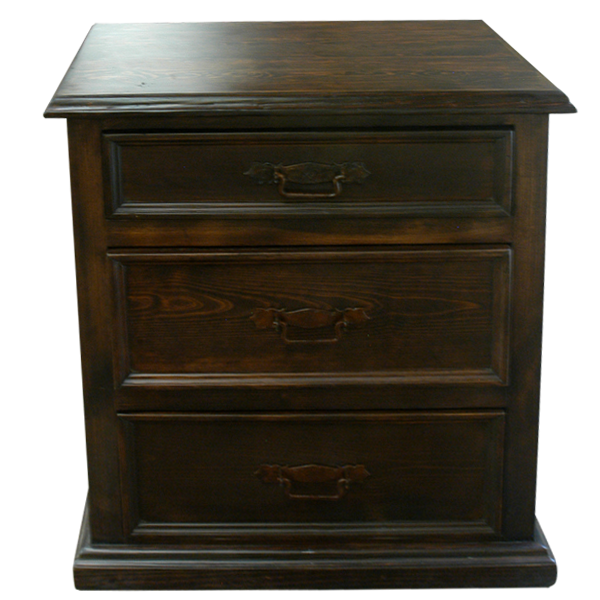 This custom end table features three, spacious, solid wood drawers with hand forged, iron handles. The top drawer is the smallest, and the bottom two drawers are the same size. The end table has a large, dark stained top, with a beautiful, top rim. This custom furniture has rectangular, wood panels on each side. The end table is supported by a bottom molding built in the same style as the top rim. Made with the best, sustainable, solid wood available, this custom furniture is 100% customizable.